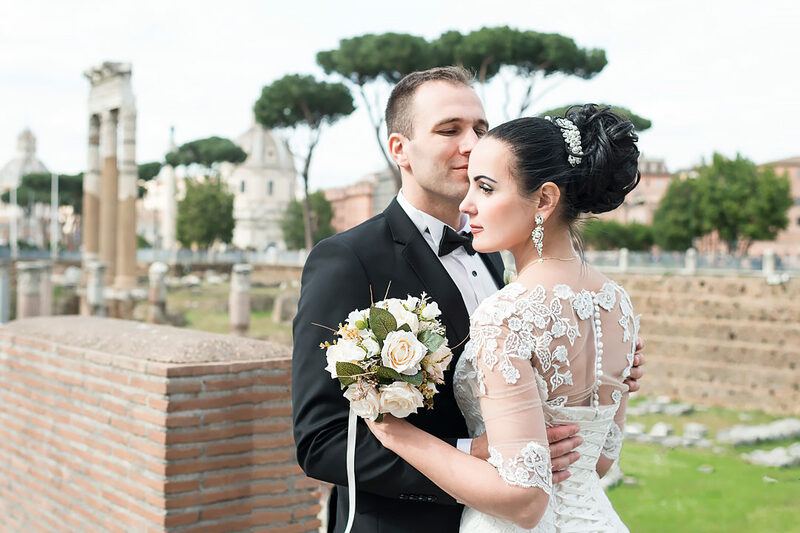 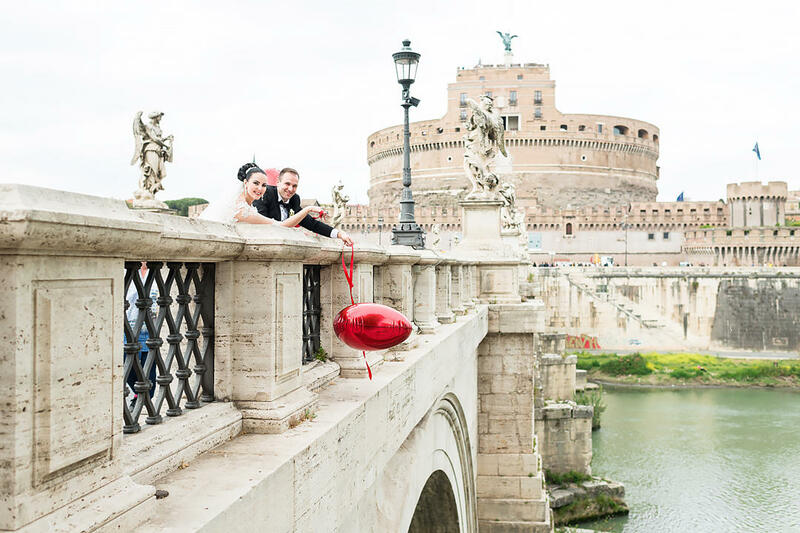 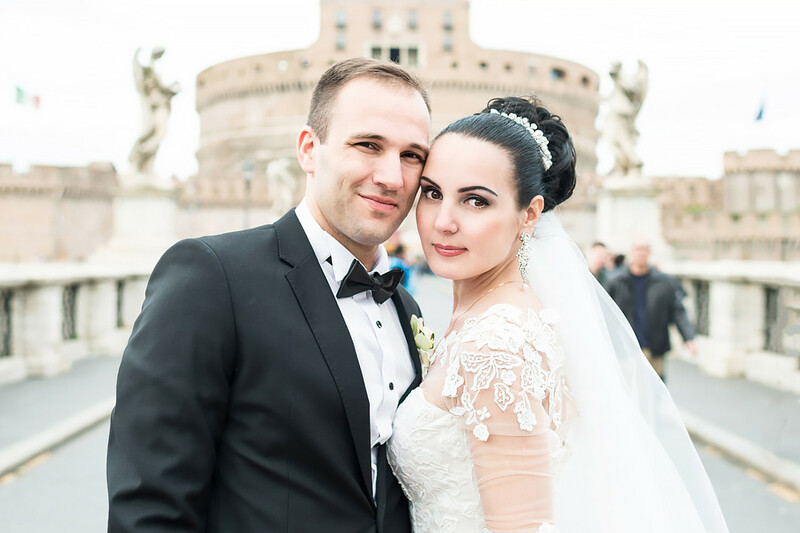 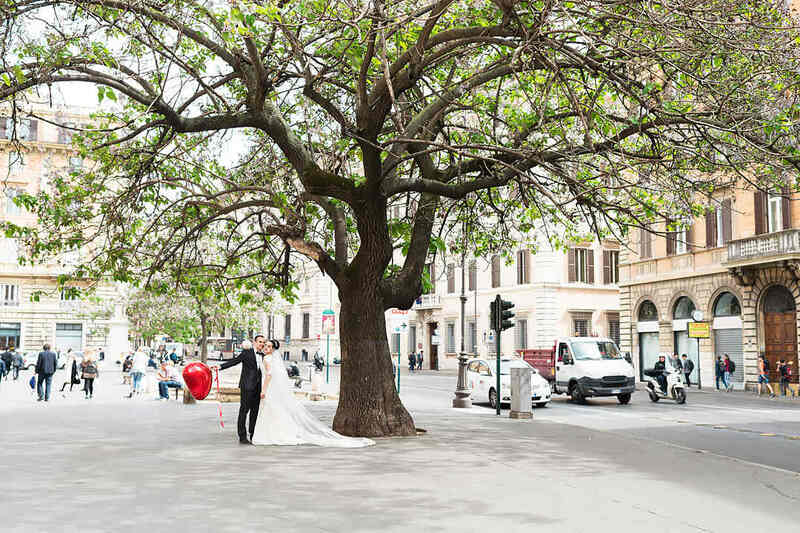 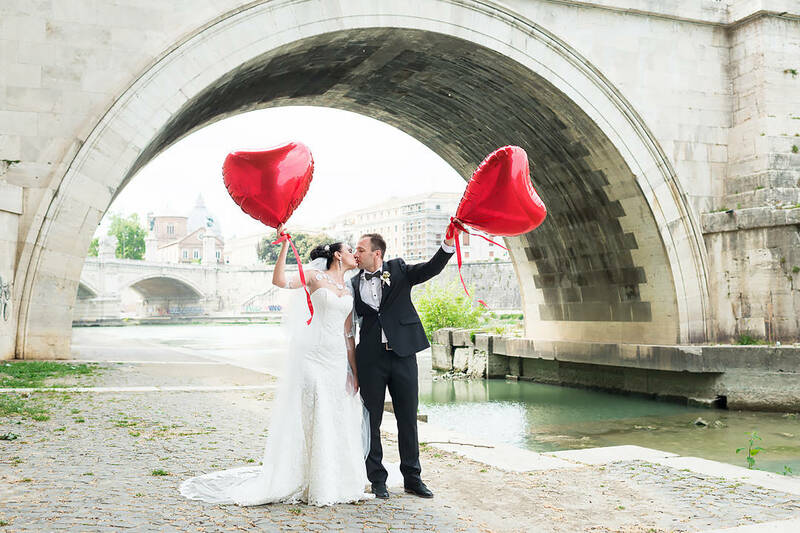 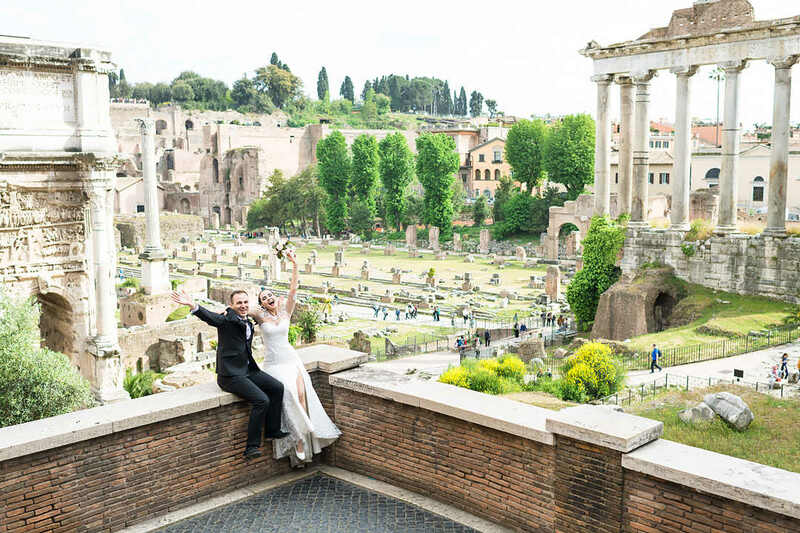 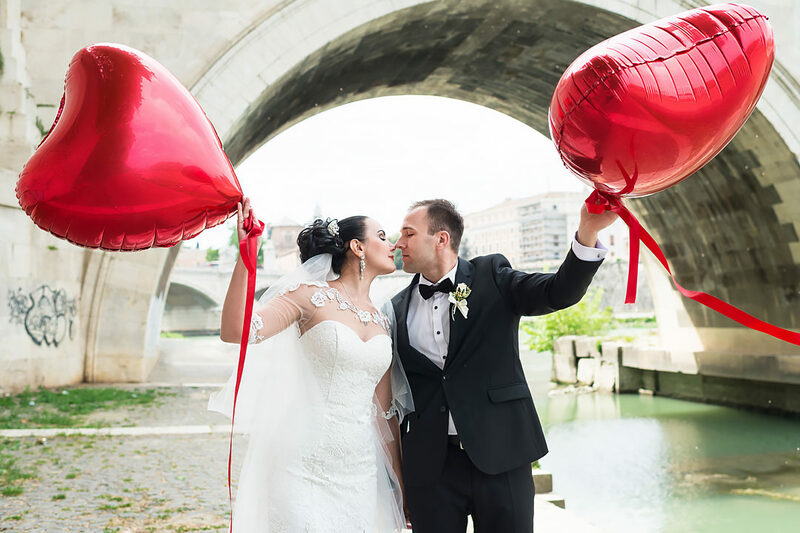 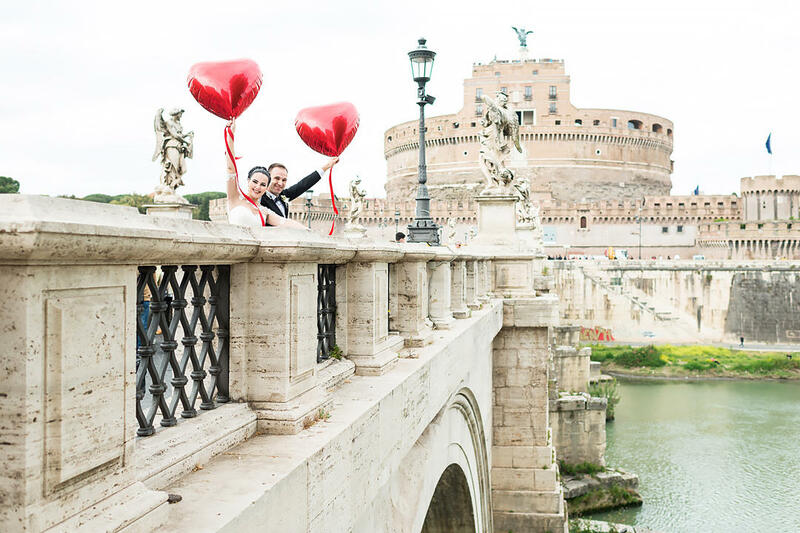 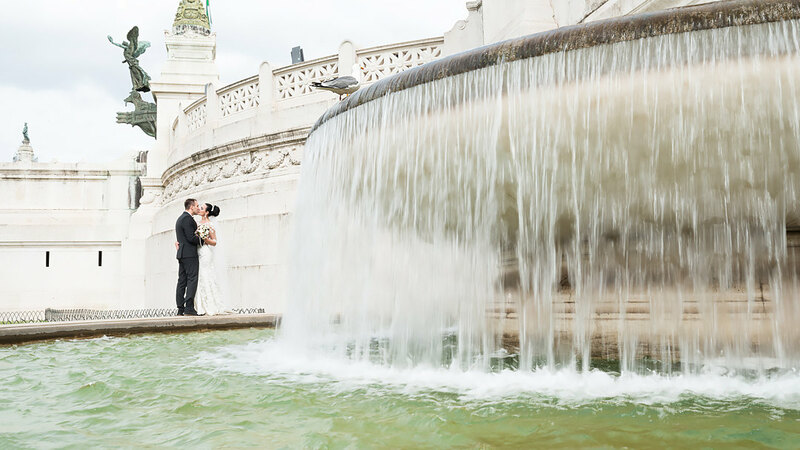 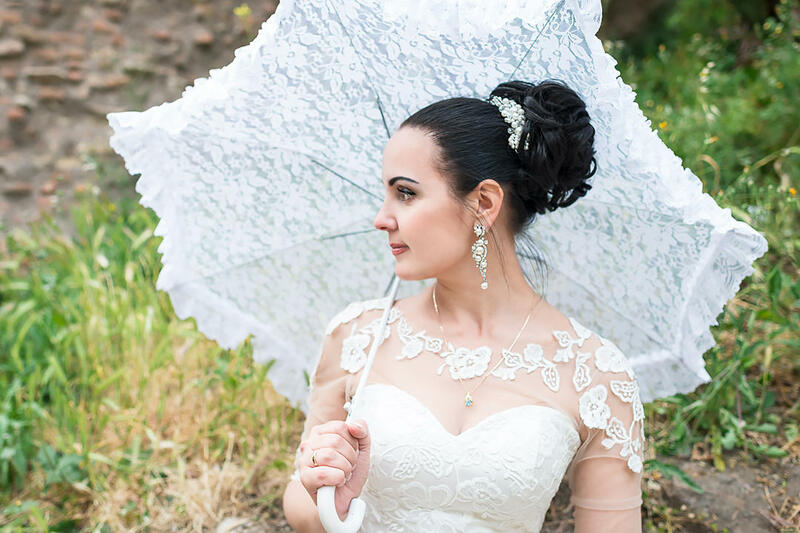 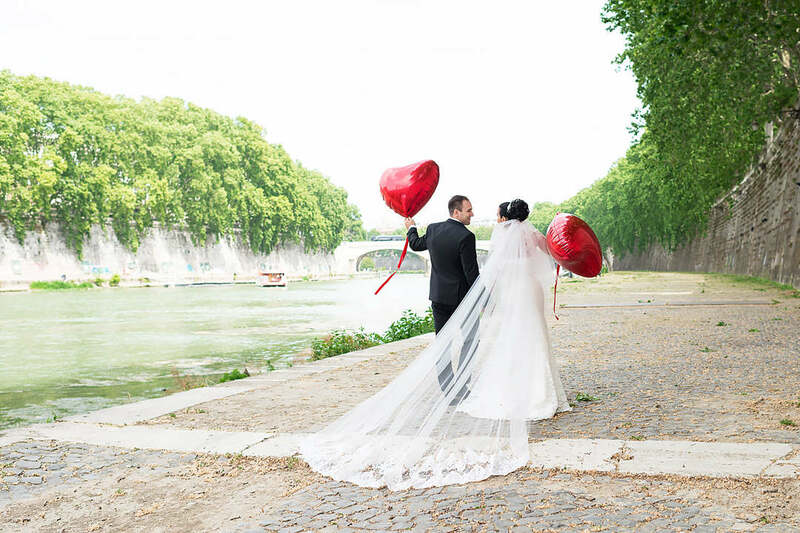 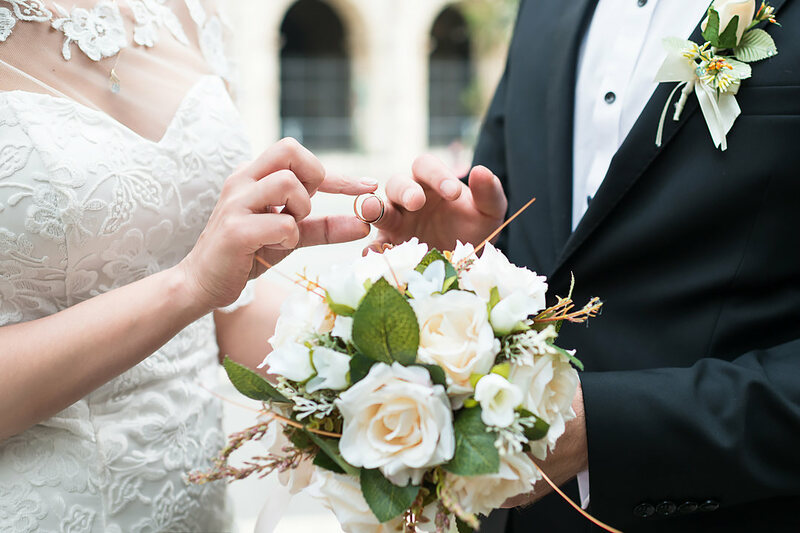 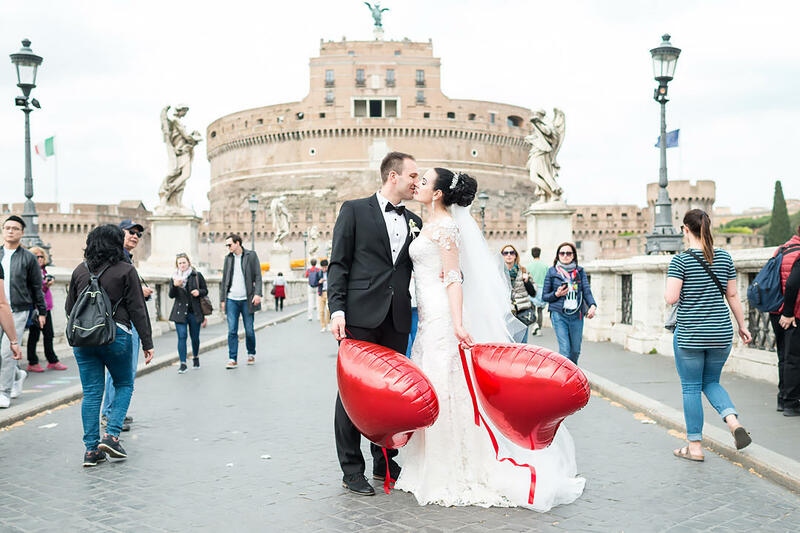 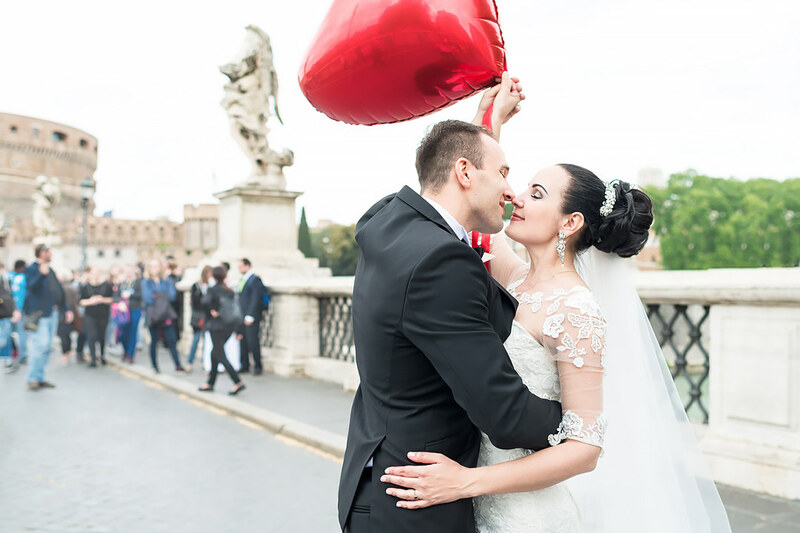 Romantic wedding photo session in Rome, which I photographed for a happy couple of the newlyweds. 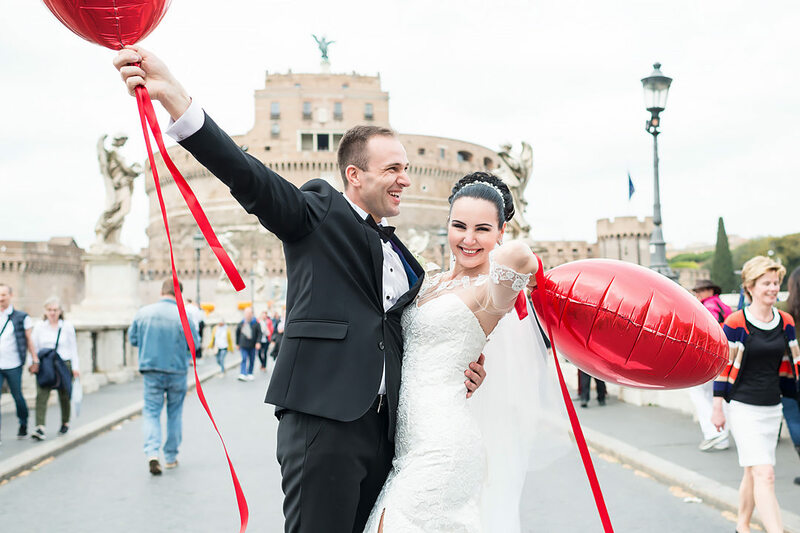 Photographing began at the Castle of Sant'Angelo, on the waterfront under the Sant'Angelo Bridge, and then we strolled along the streets of the Eternal City to Piazza Venezia with its unusual fountains, and then to the majestic ruins of the ancient Roman Forum. 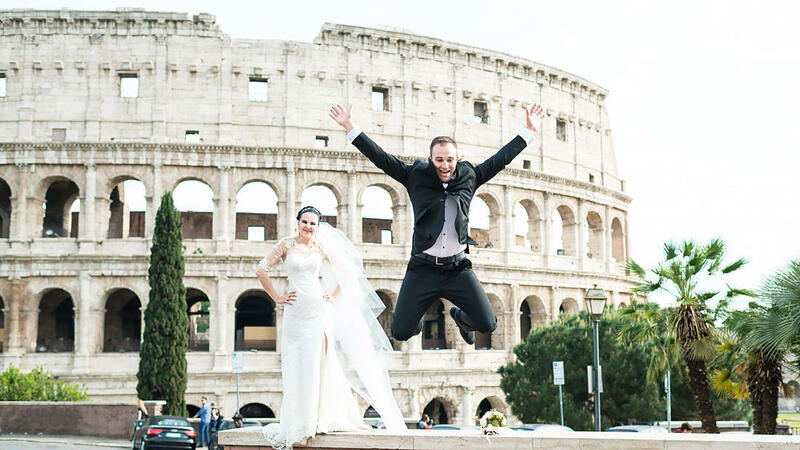 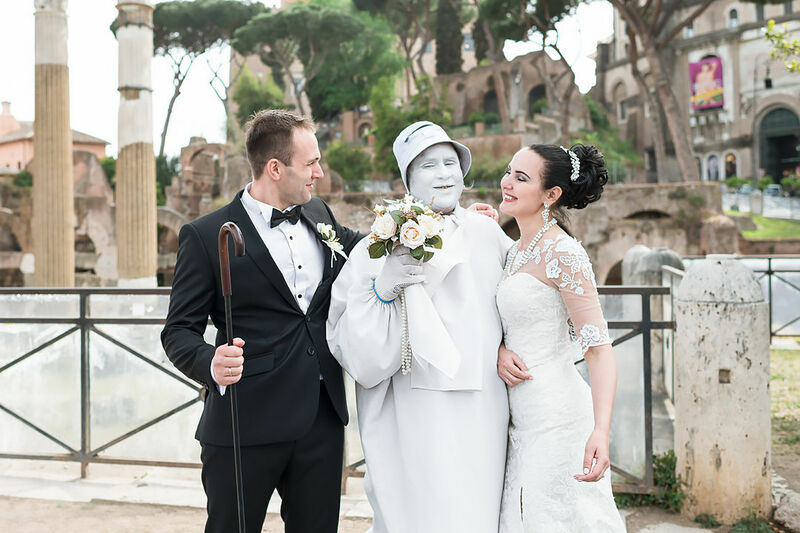 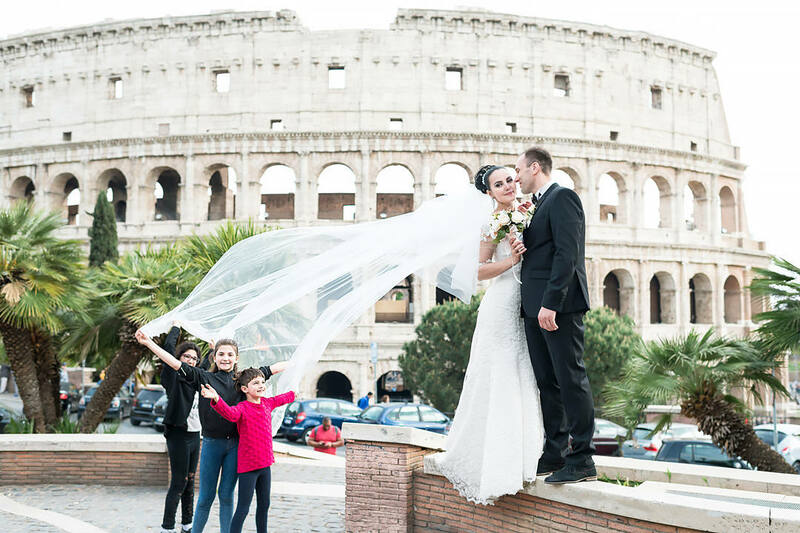 We ended our photo shooting in Rome at the Colosseum, against the backdrop of the ancient famous Flavian Amphitheater.